This Crazy Life...Michelle Underwood Designs: Conscious Box Giveaway- 3 months!! Conscious Box Giveaway- 3 months!! Conscious Box helps you discover the purest, healthiest natural products in the world from the most ethical companies! From natural beauty to health food and non-toxic home goods, you'll find better alternatives for all areas of your life. 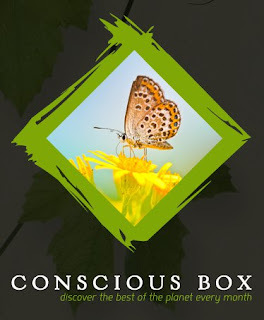 Open up your world today with Conscious Box! Subscribe today! How Does Conscious Box work? Conscious Box is a monthly subscription service focusing on sustainability, environmental stewardship, and social responsibility. You’ll receive one Conscious Box per month, and you can choose the plan that works best for you or purchase a gift for a friend or loved one! I am so excited to partner up with Conscious Box to offer this FABULOUS GIVEAWAY! 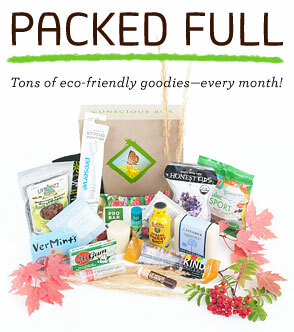 One winner will receive a 3 month Conscious Box subscription- a $59 value!